My focus is usually on saving smaller, easily stored things, but last week I ended up taking a few bigger pieces. 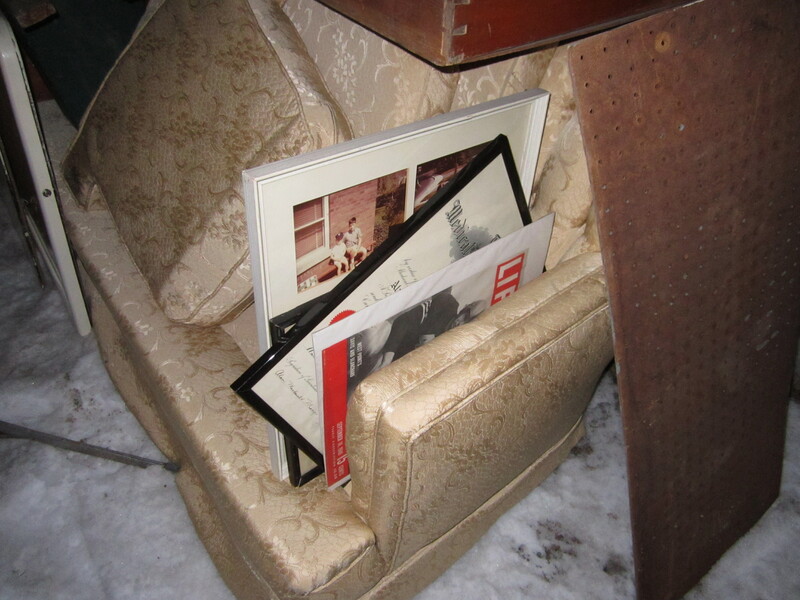 This pile sat in front of a familiar house in Mount Royal – the same one that tossed the books from last week’s post. They appear to be slowly clearing out the house. 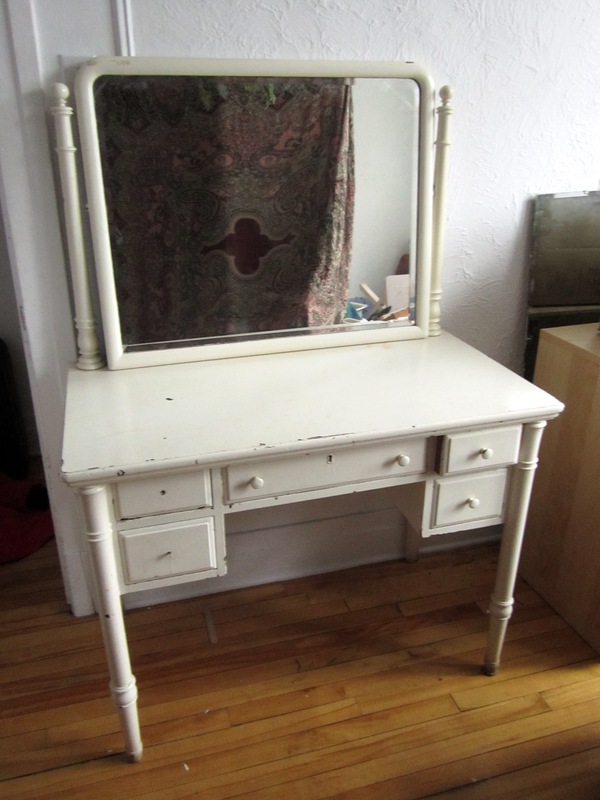 The first thing I noticed was this nice old vanity. 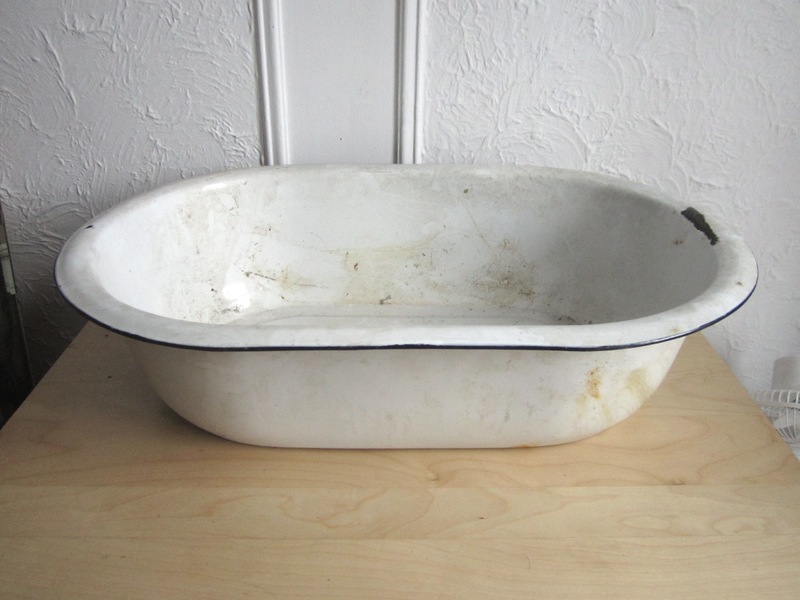 It’s coated with a white enamel paint, as was the style back in the day. It just barely fit in the car, only after I took off the arms that hold up the mirror. There’s a bit of wear to the paint and a couple of missing knobs (which should be easy to replace) but it’s a very beautiful piece. I gave it to my friend Sarah, as she’s moving into a new place soon and could use the furniture. I also don’t have much space to store such things myself, but I hope to have a bit more room soon. More on that next week, if it all works out! At the back were a few picture frames. Two held degrees dating back to the 1950s, and another held a collection of family photos. 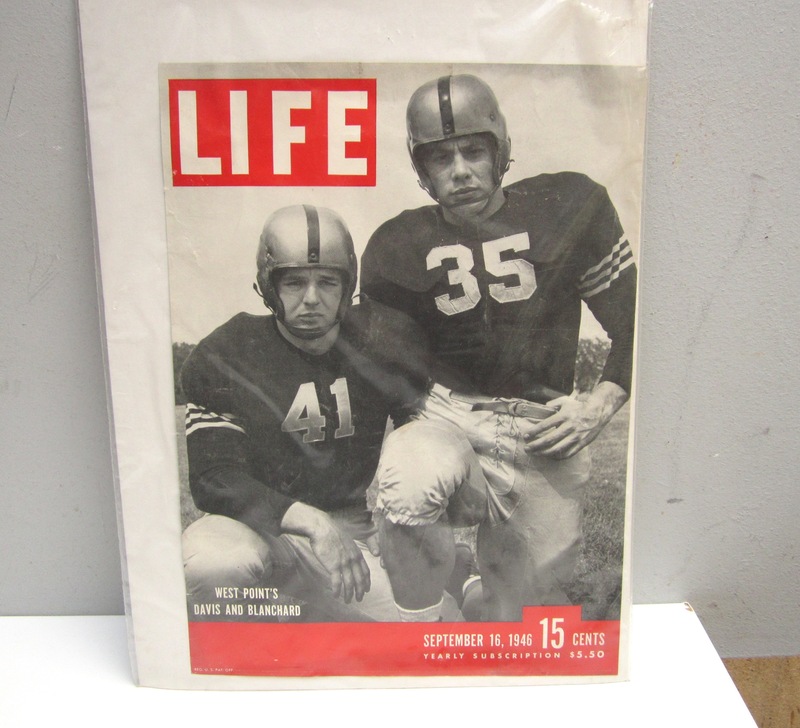 There was a cover for a 1946 Life magazine amongst them. 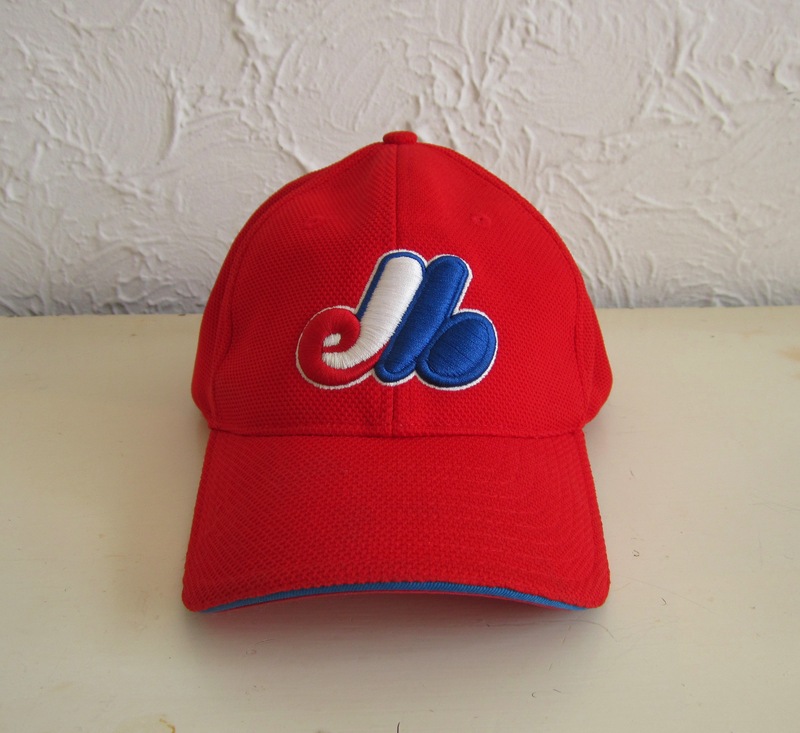 and an Expos cap, still very clean and in excellent condition. This was actually in the recycling bin, for whatever reason. I miss the Expos! The week was otherwise pretty quiet. A few recently productive spots were barren, while others produced nothing of note. I did save a few things from the “enigmatic dumpster.” I’ve been visiting a few times a week ever since my nice silver finds back in early February. 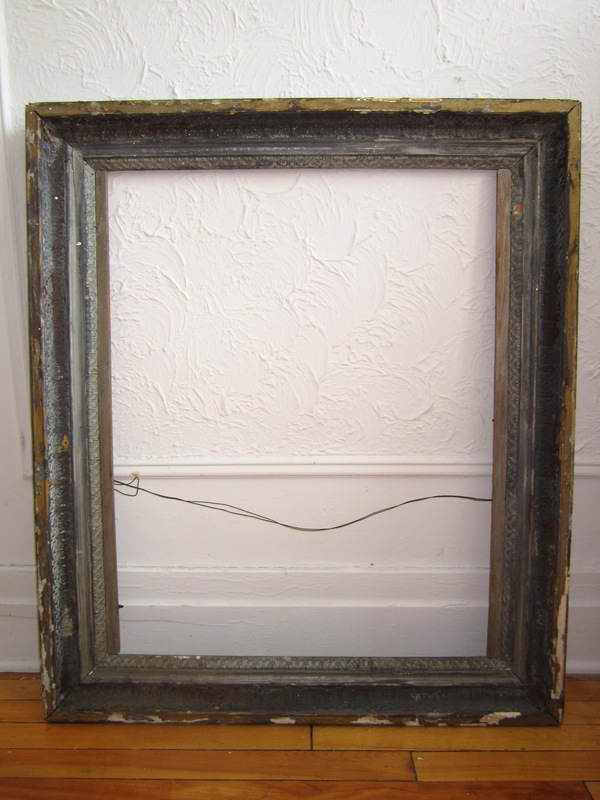 and two big antique picture frames. Both are around 3.5′ x 2.5′. They have a couple dings, but I still think they’re pretty cool. They look like they’ve been painted – and not necessarily well – many times over the years. They’d probably look great with a new coat (maybe a classic gold? 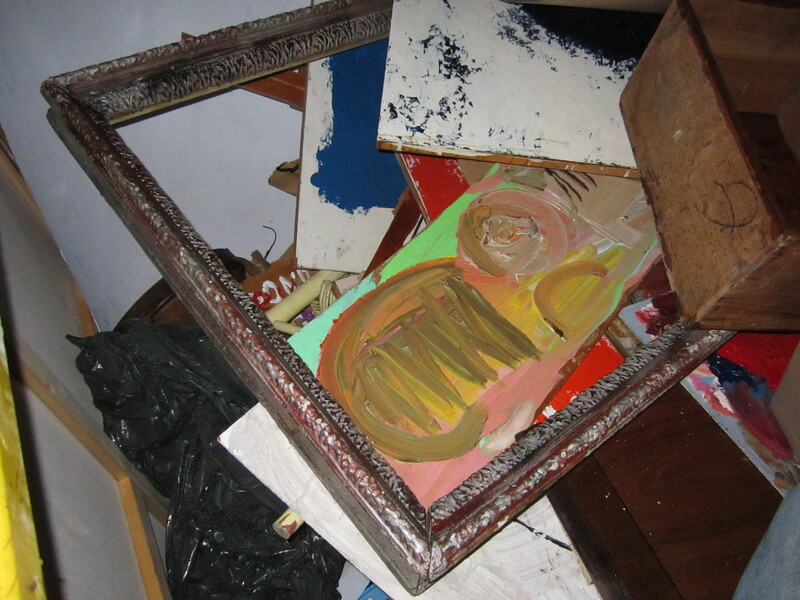 ), perhaps after stripping some of the old paint off. The trim is really nice. How old do you think these might be? My guess would be the early 1900s. I visited again later in the week and came across something unexpected: Competition! More specifically, it was someone I know who follows the blog and who recognized the dumpster after reading about it here. It was fun to pick with someone else for a change. I also have to make sure going forward that my photos don’t make my locations too obvious. I can’t afford to lose out on top-quality stuff very often. 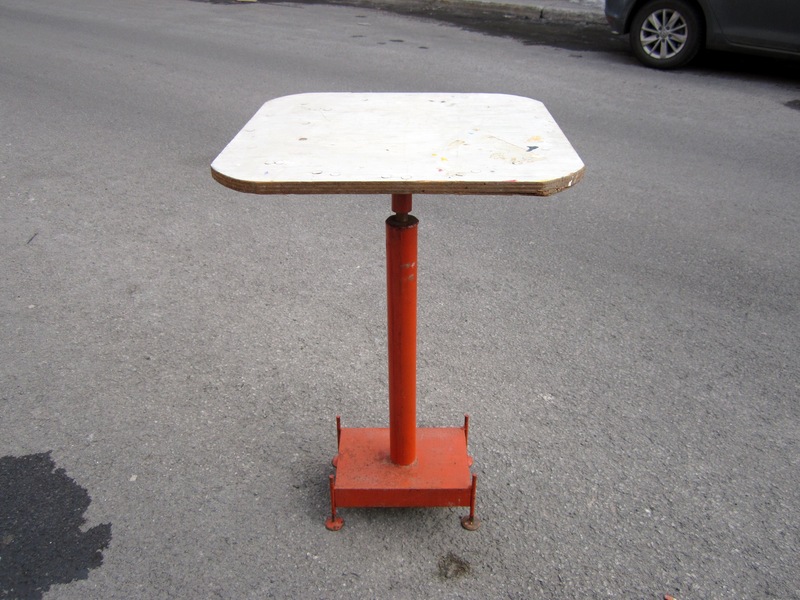 This time around I saved a table with a heavy cast-iron base and removable top. The top is designed to rotate, so it might be for making pottery or something like that. It’s about 4′ tall. I also saved a selection of folk art, a large Tupperware bin, and a carved wooden bird. Overall, last week certainly wasn’t my best, but things have definitely picked up a bit recently! I’ll post about that stuff soon, as per usual! “Things I find in the garbage” now has over 1000 likes! I was at around 935 before Cathy (the operator of the LA-based trash-picking Facebook page Canning with Cathy) linked to me on the Dumpster Diving Divas Facebook page. It’s just another cool milestone in the evolution of the blog. The 30th was also my 28th birthday! I spent the day doing next to nothing, which was nice because I had been working a bit too hard recently. I went on a garbage run at night and found some great stuff, which was the icing on the cake! Many thanks to Sarah for taking me out for food on multiple occasions. 1. 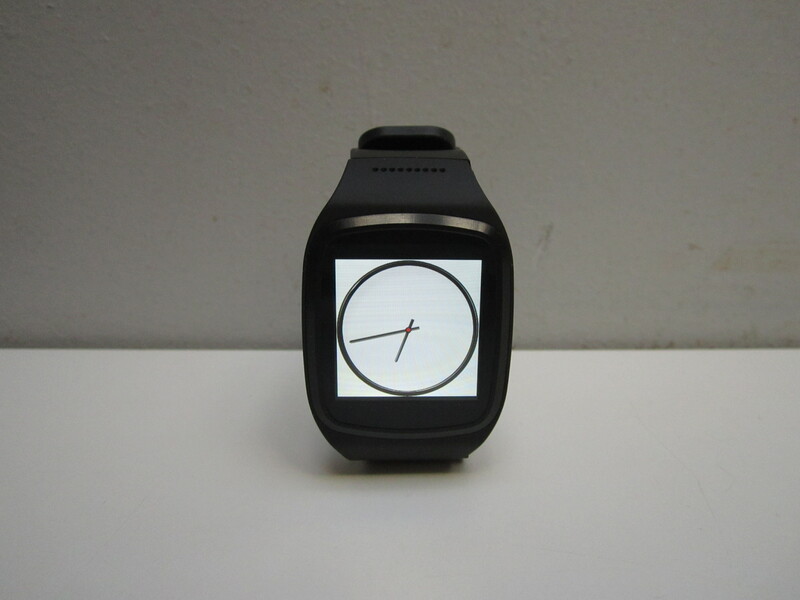 My Kronoz Zesplash Smartwatch – Black MyKronoz Watch : On eBay for 90$. Found in front of a very rich house in Westmount. 2. Gordie Howe postcard with message, postmarked 1959 : On eBay for 23$. I’ve had this for quite and while and am happy to see it go! I’ve already received positive feedback. 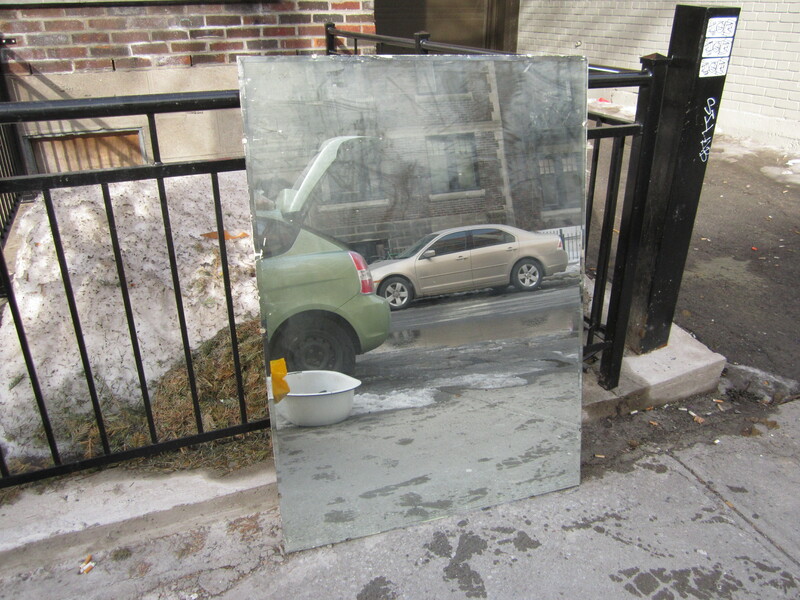 Found in Mount Royal way back in November 2013. 3. Purple Mandruzzato (Murano Italy) Glass Vase : On eBay for 55$. Another thing that’s been around a while. Found last summer in Mount Royal. (It’s the second from the right in the photo above). 4. 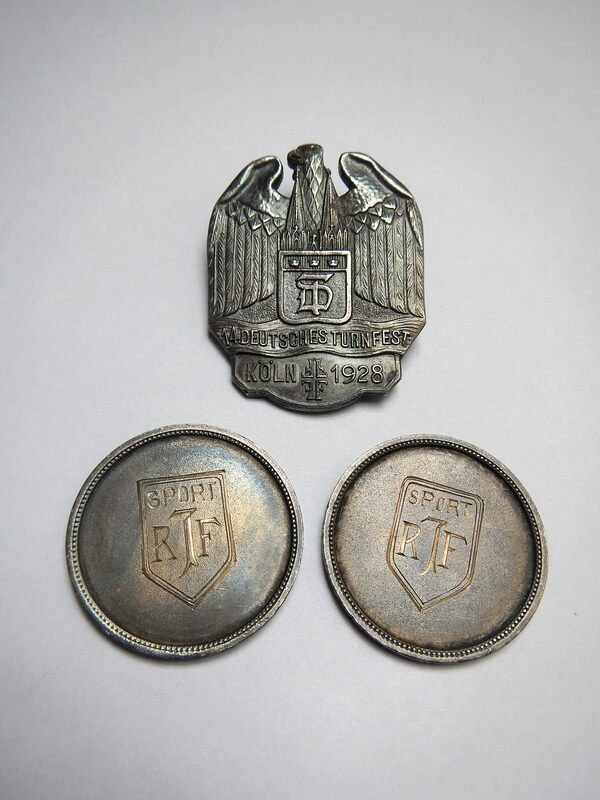 1928 Deutsches Turnfest pin : On eBay for 15$. Found with the Nazi passport in April of last year. (It’s the piece above the two coins). 5. Scrap silver and other pieces: to a reader for 200$. 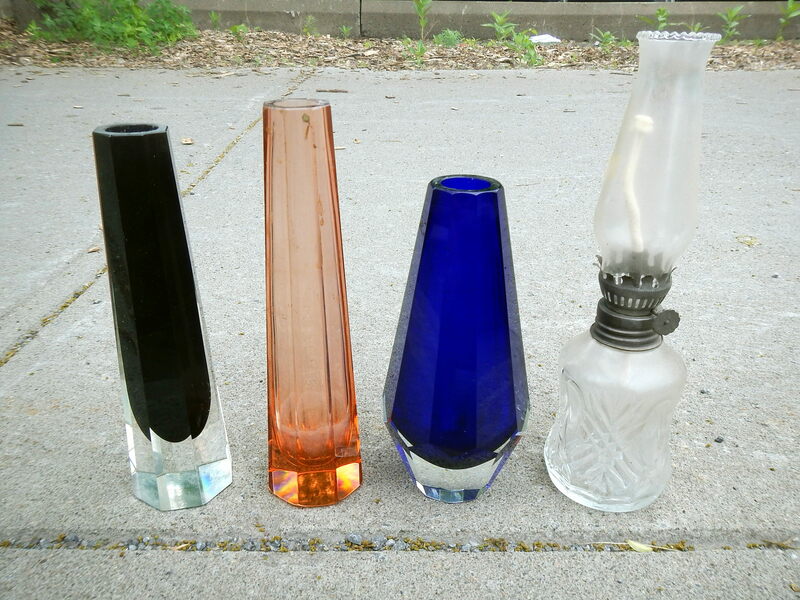 This sale included the five cups and three salt shakers from the enigmatic dumpster, as well as some silver dimes (Snowdon), an old silver plate vase (Plateau), and an incense burner (Cote St-Luc). From the sounds of it he may try to make new glass for the cups, which could be really nice if successful. Total: 383$, 13822$ since May 18 2014 and 4139$ since the new year began. Another good week! I’m averaging 1500$ a month so far this year, which is pretty great – probably nearly twice as much as I was making at this time last year. Next Post Collect them all! it’s wonderful you could save the dresser; it’s too nice to go to the landfill and won’t take a lot of effort to be useful; read your ‘recycling business’ article and back in the 70s there was a magazine for awhile actually called ‘Garbage’. That’s a lovely little vanity. It’s going to look great all fixed up, and with new pulls. Lucky Sarah! Are you keeping the baseball cap? I’m keeping the hat yeah, it’s a decent fit. 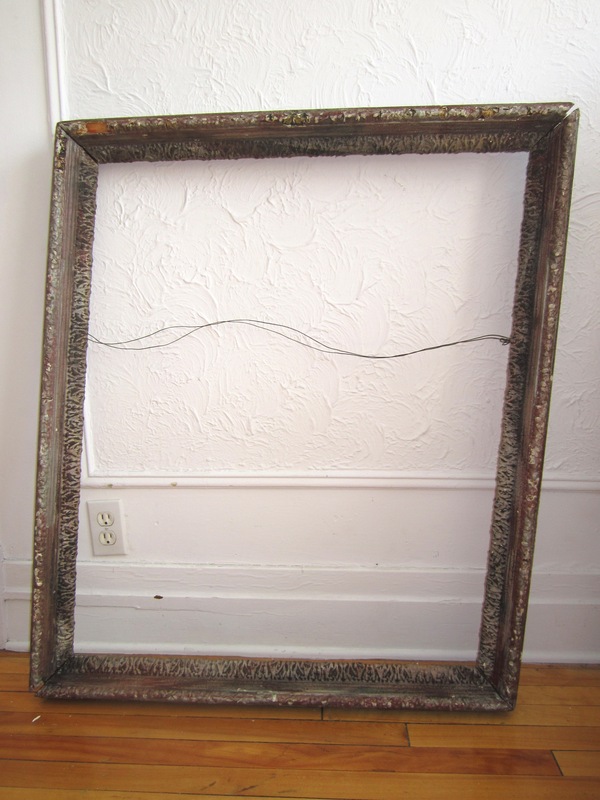 The frames look good regardless, in that shabby chic way. Gosh we are such a wasteful society. Why do people throw away things that at the very least could go to ValuVillage or a second hand store. That carved bird is a lovely thing. It’s pure laziness and it gets my goat. I am thrilled that you make a living in this way. Good for you ! Thanks! I’m convinced that society could run well for a few years producing nearly nothing at all. We’d just have to make use of all that stuff in our basements! I call foul on the follower poaching your pickings! Sounds like you’re a good sport about it, but really. Love your posts and am amazed at the prices some of these items fetch on eBay. Good for you! I wouldn’t say I’m happy about it, but I figure what’s on the curb is fair game. I’ll just have to make sure to my photos don’t make the location too obvious going forward. 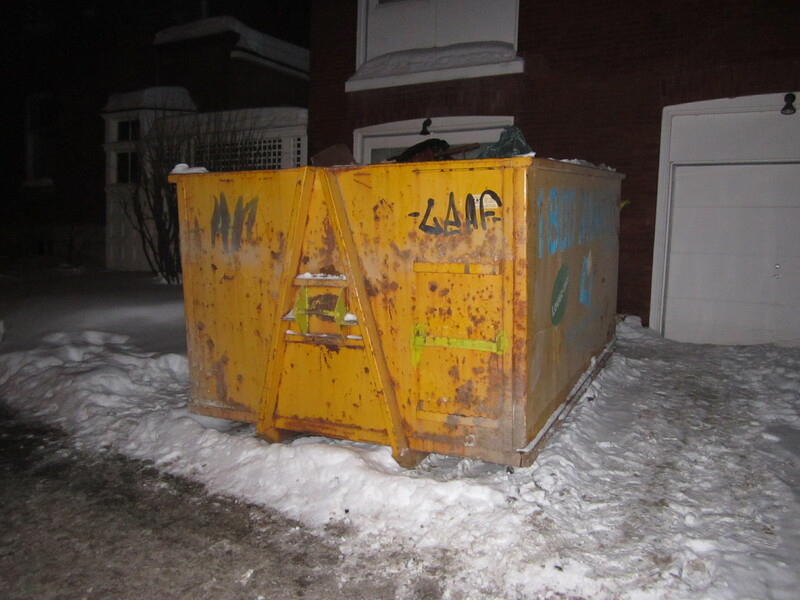 In retrospect, a yellow dumpster in that part of town (which isn’t particularly large) sticks out like a sore thumb. Lol, I’m happy it fit in the car! It was a tight fit in my friend’s little hatchback (which actually holds a lot of stuff considering). I’m glad the network of garbage pickers appears to be growing. It’s always nice to have a commuinity to support you, in good times and bad. 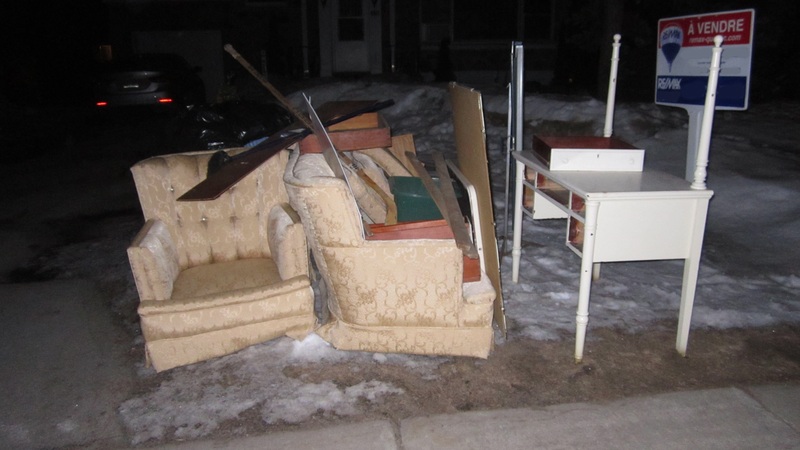 Martin,please check out the trash and recycling bins in Cote St.Paul/Ville Emard tomorrow morning on Friday.A lot of people are doing spring cleaning.Go to the rich part of Cote St.Paul,south of Laurendeau street. I didn’t have the time last week, but maybe I’ll hit it up this week. It’s been a few months since I’m visited that part of town.